I just came back from the most amazing place. 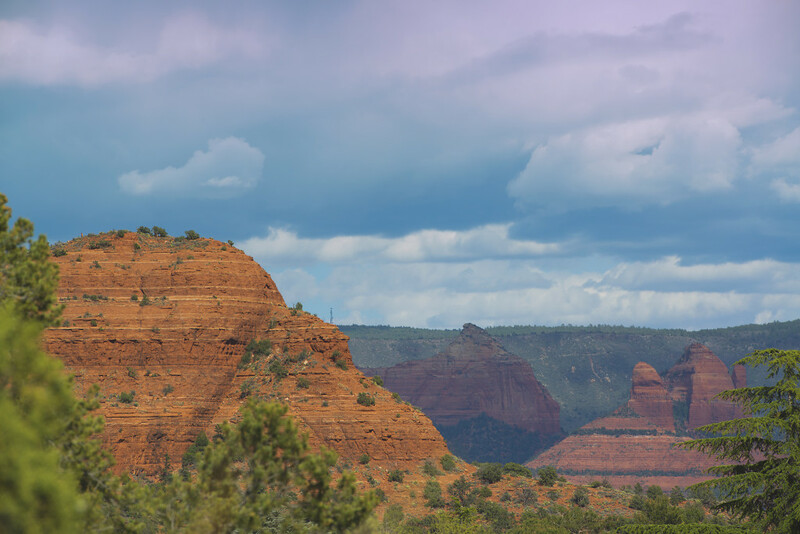 The moment I entered Sedona I felt an intense calm come over me. Everything I heard about the red rocks, the vortexes the people is all true. I arrived alone and left knowing I will never be alone again. I met new friends, friends that I will have for the rest of my life. I learned more about life and myself in the few days I was there ,than I have learned in my almost 49 yrs on this earth. I came to Sedona not being sure of who I was, what I wanted, where I was going, what my purposes was. I left with complete certainty. I am right where I am supposed to be, you always are at any given moment right where you are supposed to be. I never really was able to grasp this concept until now. For the last two years I meditated, did my yoga, sat idle waiting for it to hit me, waiting for some kind of sign. The answer was in me all along. I just didn’t know how to listen. When I called Ed at Spirit Quest he asked me what I wanted from my trip. I told him I had no idea, I knew I had to visit Sedona, I always wanted to, I was told I needed to but I found excuse after excuse to never go. There was a reason and I know now I just wasn’t ready for it. We decided I would get a taste of everything. I started with Barbara, who taught me how to breath. Yes breath. You would think that would be easy but I always forget. In my Yoga practise I am always reminded, breath, relax, don’t hold it in. I focused on my breath for , laying with my eyes closed and continuously focusing on my breath for over an hour. When I was finished every ounce of tightness left my body. I was completely relaxed and for the first time in ages was actually able to visualize my ideal life, right thee waiting for me. Thank you Barbara. You were an amazing teacher and great listener. My next session was with Anahata. Anahata had the most amazing intense blue eyes. I felt her spirit immediately. She smiled , gave me a huge hug and immediately I felt at ease. We talked for quite awhile and then she started her work. The sound of her voice took me to another place. I told her of my connection to the deer that are outside my window almost every morning and as I closed eyes, there I was running with them, the most intense fascinating experience but only the beginning of my journey. I have never been able to visualize during my meditations but whatever Anahata was doing while my eyes were closed worked. The blocks were gone. I couldn’t wait to see what was next. The next day I met Miguel. He took out to the middle of a river, where we sat on a rock and talked about life, the universe, the purpose of our existence. It was strange hearing things I had only heard previously from women, coming from a man. Miguel taught me we are all mystics, we just need to open our hearts. He spoke of surrender, love, gratitude, being sincere with our intentions. Three hours meditating on a rock, listening to nothing but the birds and the running water rushing by us and I knew there was a higher power, no doubt I was transforming right there. A butterfly flew by and then a dragon fly landed on a rock next to us. In the spirit world, both are symbols of change. Coincidence? I think not. My next stope was with Carrie, She was another beautiful woman with incredible blue eyes that seemed to peer deep into my soul. We did a sound therapy session, another totally relaxing experience that further opened my heart. I couldn’t wait to get into the mountains with my camera. I knew there was magic waiting for me and I was right. I met Joseph White Wolf the first day I was in Sedona. He had other clients but stopped into the office where I was waiting for my first session. I got an instant rush that was hard to subscribe. He introduced himself, explained his Indian roots from North Ontario. I was mesmerized. He told me how his father was a fur trapper and he lived his life off the land. He saw the red rocks of Sedona in a dream and that is how he ended up there. He left home with nothing but a few bucks in his pocket. pretty brave of him, and leaving me wondering of I could ever do that, just totally trust the universe. I was disappointed that I hadn’t been scheduled for a session with Joseph. I had to spend more time with him. I called the owner of the company and decided to extend my stay another morning when Joseph was free. It turns out he felt the same connection to me as I did to him. Joseph took me up a road and stopped the car at the top of a huge hill. He aid “get out we are going to witness a miracle”. He asked me to look out the the spectacular red rocks surrounding the valley and tell him the first word that came to my mind. I replied “awe”. He smiled the biggest smile and said ” there is your miracle”. I was confused, as I didn’t think that anything happened. He explained to me that the mountains, the earth in all it’s glory was a gift from god and all god wants in return is for us to love and appreciate it back. He told me that my first thoughts of “awe” was all god wanted from me. I got it and couldn’t wait for what was next. We talked about how sensitive I was and he could tell how much love I had in my heart. He told me one of my animal totems was a giraffe. The giraffe has the biggest heart but it is far away from its head. My head doesn’t always follow my heart but that will change. Somethings are not easy for a man to admit. I started to understand what my purpose on earth is. The world is changing, slowly but it is changing. I have met so many people over the last few years that just want to love and be loved. Beautiful people that teach us that we are all one, that the world is a magical place if we just take care of it and each other. I will forever be grateful to have met Joseph. I could listen to his stories all day. He gave me confidence that I can be myself and not care what people think. I can’t wait to go back to Sedona and spend more time with him.